Las Vegas, NV - Patriot Gold Corp. (PGOL:OTC), a gold resource and exploration company, today announced successful results from drilling core holes 18 through 23 as the final part of its Phase 2 infill drill and resource expansion program to test the western extension of the Moss Gold-Silver Project. Phase 1 and 2 drilling is being conducted by Patriot Gold's project partner, Northern Vertex (TSX.V:NEE), a Canadian-based gold exploration and development company. To date, the company has completed a total of 41 holes of its current Phase 2 expansion program. Results have now been reported for all Phase 2 drilling: 18 RC (reverse circulation) drill holes and 23 diamond drill (core) holes. "We are very pleased to report that Phase 2 drill results have further extended mineralization on the western extension at Moss with overall results further confirming that the western extension contains remarkably uniform gold and silver distribution over substantial widths," said Dr. Bob Thompson, Chief Geologist of Northern Vertex. "The gold/silver mineralized structure now spans 6,000 ft on strike, remaining open to the West, East and at depth. High-grade feeder veins were intersected to the south and are believed to be associated with historic mining activity dating back to the early 1900's. 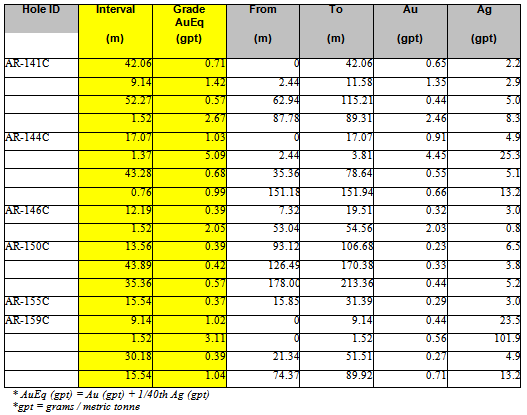 We continue to encounter multi-meter, 1+ gpt Gold Eqv intervals and multi-gram hot spots, contained within 40+meter intersections, running well above internal cut-off grades. It is this type of consistent mineralization that will undoubtedly play a vital role in boosting the overall size and tonnage of the contained Gold-Silver resource at Moss, as we continue our expansion west of our current NI 43-101 Gold-Silver resource." 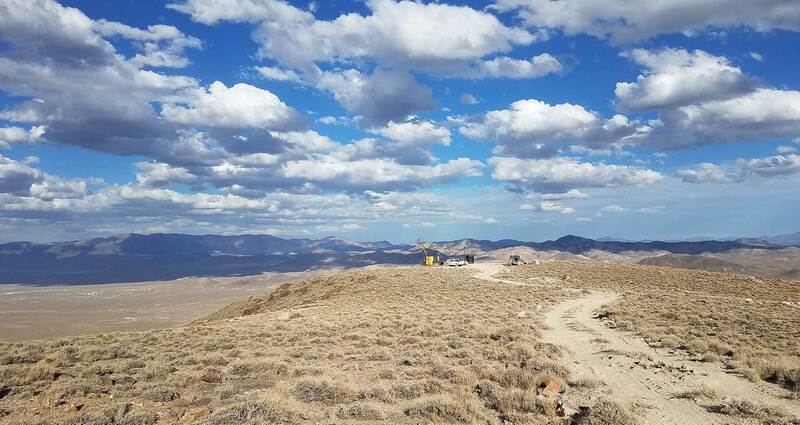 "The consistency of the results we have seen throughout the duration of the multiple phases of drilling gives us great confidence in the production potential of the Moss site," said Bob Coale, CEO of Patriot Gold. "Now that all Phase 2 results have been reported, we look forward to considering a production decision and plan in the near-term." The Moss Mine Project is situated in the historic Oatman Mining district in northwestern Arizona. Since announcing the joint venture project with Northern Vertex in March 2011, the project has completed 93 drill holes through reverse circulation, diamond drill and coring techniques. The Moss deposit is a low-sulfidation epithermal stockwork deposit with a strike length in excess of one mile.